Thousands of volunteers visit the FoodBank every year. The hours donated by our volunteers are equivalent to the work of 53 full time employees, so it’s not an understatement when we say that we could not do this without them. Among them is Donnie, a dedicated volunteer who helps at the FoodBank two days a week. Donnie started volunteering at the FoodBank with his daughter in 2011 and after retiring in 2017 started helping out on a weekly basis. He is part of a group of “regulars,” who have all volunteered here for a while and now get to work together from week to week. He has performed many different tasks here at the FoodBank, including sorting dry and frozen foods, preparing hot and cold meals for our Kids Cafes, and packing senior and diabetes boxes for distribution. Donnie shared his experiences with us and talked about what it was like to be in need and use pantry services while growing up. “I’m just blessed. I got to retire, but I didn’t forget where I came from,” he said. He has overcome the hardships that he experienced as a child and now is able to pay it forward to his hungry neighbors. “The FoodBank does amazing work,” he told us. 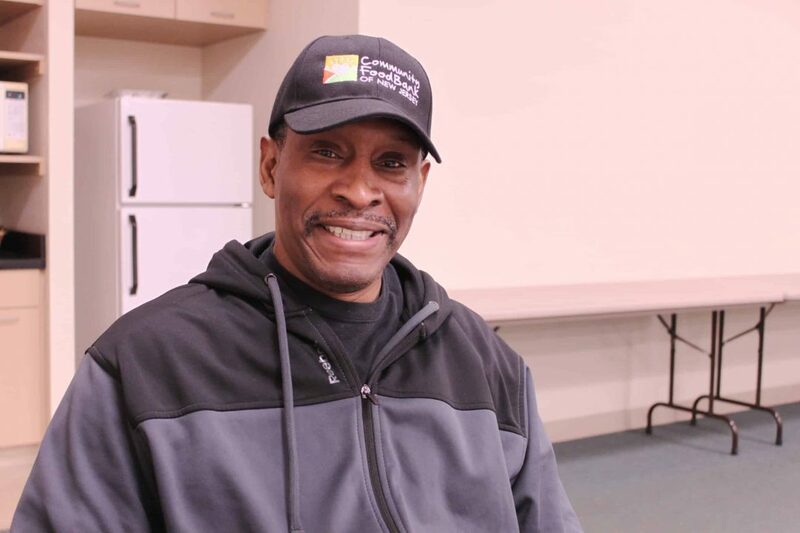 “Just the amount of people they are able to feed is humbling because in a country that is as blessed as ours, there are people going hungry.” People like Donnie come back time and time again because they believe in our mission of ending hunger in New Jersey. Our volunteers they are an integral part of our operations here at the FoodBank. For more information about volunteering and to become a part of our volunteer family, Click here.